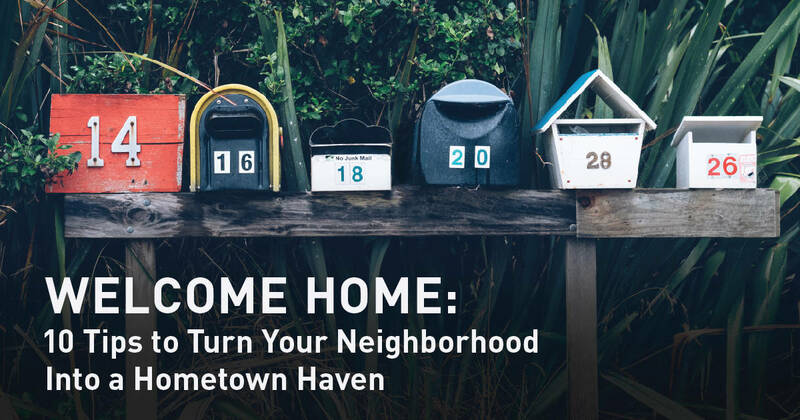 If you’re considering a move to a new city or neighborhood, you may be worried about replacing the comfort and support of family and friends you’ll leave behind. Or perhaps you have completed a move but would like to meet more people, build friendships and strengthen your support system. In this post, we’ll explore 10 ways you can utilize technology to foster in-person connections with your neighbors, make friends and get engaged in your local community. 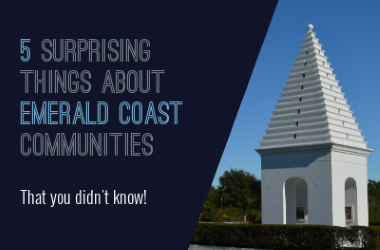 Attend a Place of Worship - If you have a religious affiliation, joining a local place of worship is great way to meet people and get involved in your community. Aside from attending services, most religious institutions also host extracurricular activities to foster fellowship among the congregation. To make the most of your affiliation, look for opportunities to meet in smaller group settings. It’s a great way to form interpersonal relationships with people who share your beliefs and values. Join Your Neighborhood's Social Network - A growing number of neighborhoods are utilizing private social networks like U.S.-based Nextdoor and Canadian-based GoNeighbour. These platforms are designed specifically to connect neighbors. Residents post about a variety of topics, including neighborhood news, recommendations for local businesses, lost pets, etc. But don’t just use them to connect virtually. Extend an invitation to your neighbors to attend an in-person event, such as a park play date for families, an informal soccer game or a potluck block party. Find an Interest Group - Whatever your favorite hobby or pastime, you’re guaranteed to meet people who share your interests when you join an interest group! The website Meetup.com has over 32 million members in 288,000 groups in 182 countries. You can search for a group in your area that appeals to you … from book clubs to running groups to professional networking, they have it all. If you don’t find what you’re looking for, you can start your own group for a monthly fee. The site makes it easy to ask (or require) members to pitch in to cover the cost. It also enables you to promote a corporate sponsor on your page, so you may be able to find a local business to cover the cost. Most people who join Meetup are there for the same reason you are … to meet people who share their interests. So it’s a great place to make like-minded friends in your community. Lend a Hand - Volunteering your time and talents is another good way to get engaged in your community and meet those who share a similar mission. Most nonprofit organizations rely heavily on volunteers. Find one with a cause you’re passionate about by visiting VolunteerMatch. You can search by cause, location and keywords, and filter your results to include opportunities that are suitable for kids, seniors or groups. Another option is to search for volunteer positions that require specialized skills. Perhaps you’re musical or maybe you’re good with computers. There could be an organization in your area that needs your talents or skills. Lotsa Helping Hands is another site focused on connecting volunteers with those in need. Members can request help or search for opportunities to assist others in their area. Most of the volunteer opportunities involve aiding neighbors who are ill or elderly by delivering meals, offering rides to appointments or just stopping by for a visit. This can be a great way to make a direct impact on your neighbors who need a helping hand! Take a Class - Taking a class is a wonderful way to develop a skill while meeting people who share your interests and passion for learning. 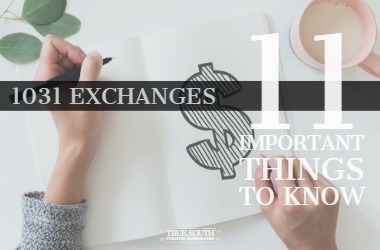 Whether you want to brush up on your Spanish, finish your novel, or learn how to tango, most community colleges offer inexpensive, non-credit classes on a variety of topics. And if you are pursuing a degree, forego taking your courses online. Opt for the traditional route instead. There’s no substitute for being part of a live community of your peers. To search for a community college in your area, visit the American Association of Community Colleges or SchoolsInCanada.com. Attend an Event Attending a live event is another way to engage with members of your community. From festivals to fundraisers to retreats, Eventbrite is a great place to search for events in your area. You can filter your search by category, event type, date and price to find something that fits your interests, schedule and budget. Be strategic about the type of event you choose. For example, while attending a large festival might be a fun way to feel engaged with your community, it might also be harder to meet people. A retreat or a networking event may offer more opportunities for one-on-one interaction. Share Your Stuff Everyone’s talking about the rise of the “sharing economy” with the popularity of Uber and Airbnb. But there’s also been a rise in “sharing communities,” which facilitate the free exchange of goods among neighbors to reduce consumption and keep usable items out of landfills. Nonprofit groups like The Freecycle Network are made up of people who are giving (and getting) stuff for free in their own towns and neighborhoods. Members can post “offers” of free items or “wanted” items they need. The company Peerby has a similar goal of reducing consumption by encouraging neighbors to lend and borrow items they don’t often use. For example, you can offer to share your blender, rake or ladder. Maybe you need to borrow a drill, cake pan or moving trolley. Peerby enables you to request items to borrow from your neighbors and encourages you to register items you are willing to lend. The Little Free Library is another innovative way neighbors are participating in a sharing community. Stewards build or purchase a box to house the library and fill it with books they are willing to give away. The library is usually placed in their front yard or in a public outdoor space. Visitors are encouraged to take a book they’d like to read, and in exchange leave a book for someone else to enjoy. With over 60,000 libraries in 80 countries, the organization estimates millions of books are exchanged annually among neighbors. Support a Community Garden Community gardens have become increasingly popular in both urban and rural areas across North America. Not only do they beautify a neighborhood, they also foster community, encourage self-reliance, reduce family food budgets, conserve resources, and provide opportunities for recreation and exercise. The mission of the American Community Gardening Association is to build community by increasing and enhancing community gardening and greening across the United States and Canada. The organization’s website enables you to search for existing community gardens in your area. If there isn’t one nearby, you might considering starting one. The site provides helpful tips and resources for organizing a garden in your neighborhood. Carpool with a Coworker In the spirit of joining a “sharing community,” carpooling offers many similar benefits. It presents an opportunity to form a bond with coworkers and/or neighbors during your daily commute. Additionally, you can save money on gas, reduce wear-and-tear on your vehicle, lower carbon emissions, and in many cities reduce your commute time by taking advantage of high-occupancy vehicle (HOV) travel lanes. The success of ride-sharing companies like Uber and Lyft has spurred a new wave of carpooling websites and apps that aim to revolutionize the way we commute by making it easier and more convenient to carpool. While many of these are still in their infancy stages, they are expanding into new markets and improving functionality at a rapid pace. Kangaride Local, Scoop and Waze Carpool are just a few examples, and more are popping up every day. They are currently available in limited markets throughout the United States and Canada, but are becoming prevalent in more cities as residents opt-in. Check to see if any of these are available in your local area. Alternatively, you can try posting on your neighborhood’s social network to see if one or more of your neighbors are commuting to a nearby location. Take turns driving and start benefiting from all that carpooling has to offer! Participate in Wold Neighbor's Day - The organizers behind World Neighbors Day promote it as “an invitation to share a moment with your neighbors, to get to know each other better and develop a real sense of community.” In Canada it’s held on the second Saturday in June, and in the United States it’s held on the third Sunday in September. Participants are encouraged to organize gatherings with their neighbors to build relationships that “form the fabric of our communities.” You can participate by attending or organizing a gathering in your neighborhood. Examples include: a block party, outdoor movie screening, book exchange, charity bake sale, volleyball game, etc. Anything that brings neighbors together in a fun and relaxed setting is a good choice! Gatherings can be promoted through your neighborhood’s social media network, blog or listserv, or you can go the old-fashioned route and hand out flyers door-to-door. Whatever you do, be sure to make your gathering inclusive and welcoming to all. As with anything in life, you will get out what you put in. It can take time to build lasting and meaningful friendships with your neighbors, but the effort you make is likely to pay off tenfold. The tried-and-true way to make friends, expand your circle, grow your support system and get engaged in your community? Be a good neighbor yourself. Are you considering a move to a new neighborhood? We are local market experts, and we can help you find the perfect neighborhood to meet your needs. Please contact us for a free consultation!